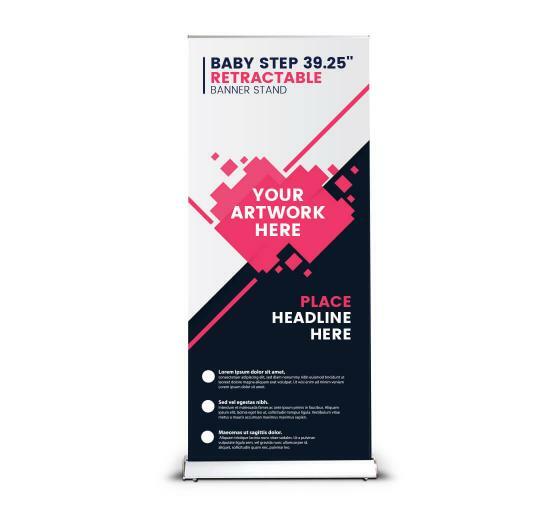 The Baby step Retractable Banner Stand has the same reliable components as our flagship product the Silverstep, only in a smaller form. Just like our other top quality retractables, you will find the Baby Step easy to set up, easy to update the graphics, and adjustable. Perfect for your next event. Set up:Quick and easy. Banner attaches by Velcro on the bottom and by Clamp bar on the top. Clean edge-to-edge display.